No matter your credit, we’ll work hard to find you the financing you need to get behind the wheel of your next MINI dream car. When you need routine maintenance like oil changes, tire rotations, brake repair, and more, the trained and certified technicians at our service center can help you out. The articles on this page are organized by the names of the towns, cities, and other communities we serve. Just follow the link to the article that references your area, and you can learn more about our dealership, as well as things to see and do in your area. 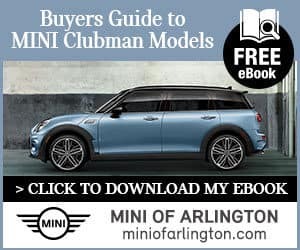 Having a MINI car at your disposal makes exploring Arlington and Irving easy. You can get to all the sporting events, restaurants, museums, galleries, and parks in the area—plus anything else you’re interested in. 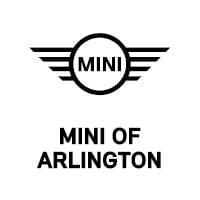 At MINI of Arlington, we’re committed to helping you expand your horizons, from Fort Worth all the way to Dallas! Learn more about how our dealership can serve you by browsing our library of dealership articles! When you’re ready, you can start browsing our car inventories or services for all you need. Then, schedule a test drive, service appointment, or financial consultation to get the ball rolling on your automotive adventure!